Mayhem Troopers: What inspire us, you, them..
What inspire us, you, them..
there's alot of fixed gear movie since Macaframa launch their 1st film. from mash, trick track, and now a fully trick bmx style fixie...its a revolution in bicycle scene. 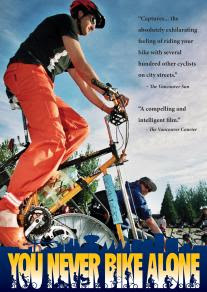 but what movie that really inspire people to start cycling? You Never Bike Alone charts the development of these mass rides in Vancouver over the last decade, from the (pre-Critical Mass) protest rides across the historic Lions Gate Bridge in the early to mid-Nineties, through the "No Fun City" years of the late 1990s and early 2000s, where cyclists were routinely arrested for riding together, up to giant Critical Mass rides of more recent years. We Are Traffic! tracks this leaderless, grassroots movement from its beginnings in San Francisco in 1992 to its spread across the globe. 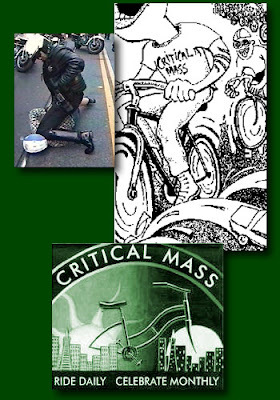 With a radical direct-action approach the participants of Critical Mass are celebrating the bicycle and in turn taking on perhaps the century's most sacred cow: the automobile. 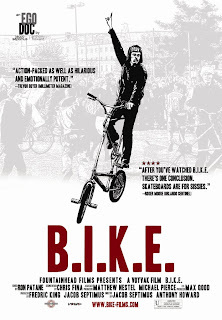 Chronicles the history and development of the "Critical Mass" bicycle movement-- one of the most spirited and dynamic social/political movements of the apathetic 90's. In over 200 cities in 14 different countries, Critical Mass has now become a monthly ritual of reclaiming the streets by bicycle activists riding en masse. KNOW YOUR RIGHTS BEFORE YOU RIDE! !